If you like this article share it! What do you do when you have a craving for sugar? 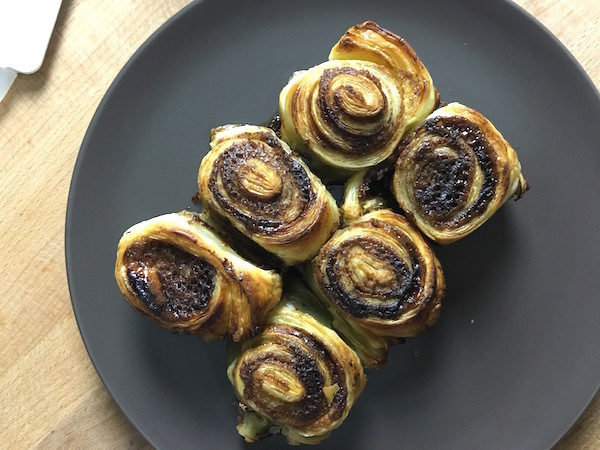 I bake simple things like these cinnamon rolls with a simple and quick recipe where I use puff pastry! 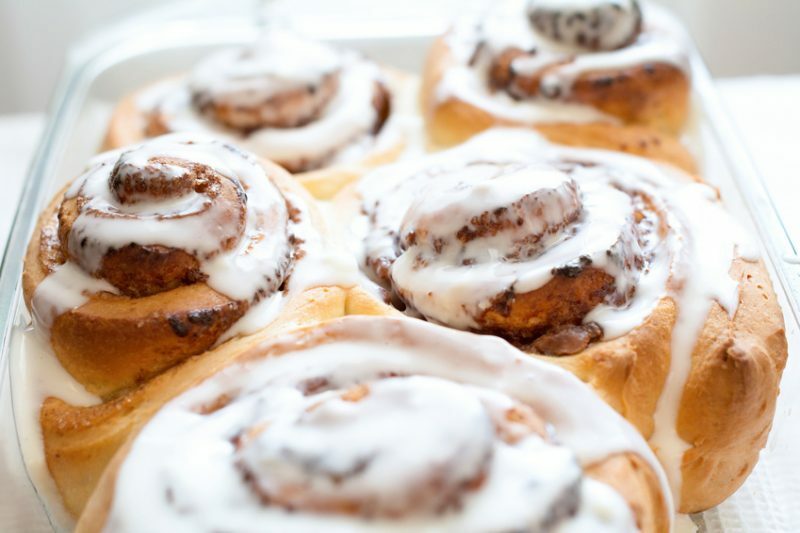 Yes, I know this is not exactly what you expect from a cinnamon swirl or roll (you’re thinking about Cinnabun right?) but this version is so simple and nice it can easily become an addiction. Don’t you agree? 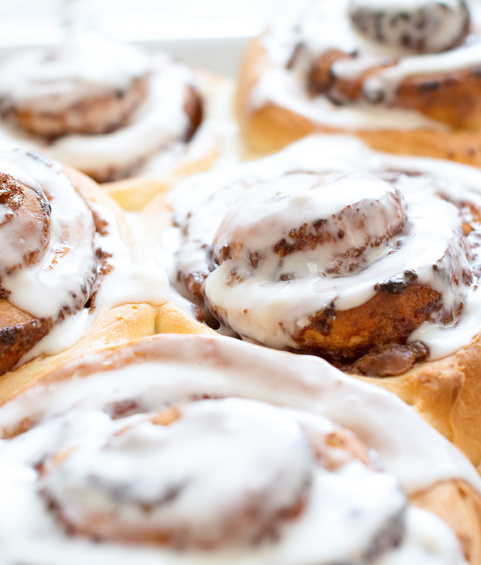 Make these cinnamon rolls and have fun! 1. Preheat the oven to 400° F or 250° C.
2. Unfold the puff pastry onto a clean work surface and spread the surface of the pastry with the melted sugar. 3. Spread the brown sugar in a thin layer over the pastry then sprinkle the cinnamon as well and press down lightly. 4. Roll up and cut into 7-8 pieces. Repeat with the other pastry. Put the pieces into the baking pan. 5. Bake for 20-25 minutes or until the pastry will be golden and puffed. 6. 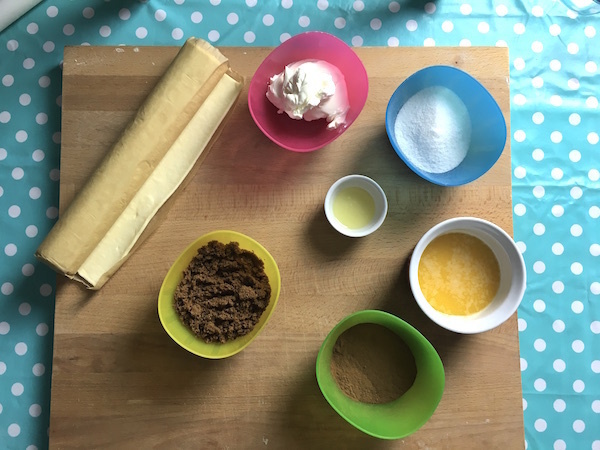 Make the icing mixing together all the ingredients until a bit thick. Drizzle the icing over the rolls, let them rest and serve. Check your email to confirm the subscription.